The "Tiny Ballet" classes are great fun to be in; we use lots of props and follow the Royal Academy of Dance’s Pre-School curriculum "Dance To Your Own Tune" which fully supports children into the RAD Graded Syllabus (which starts at age 4). 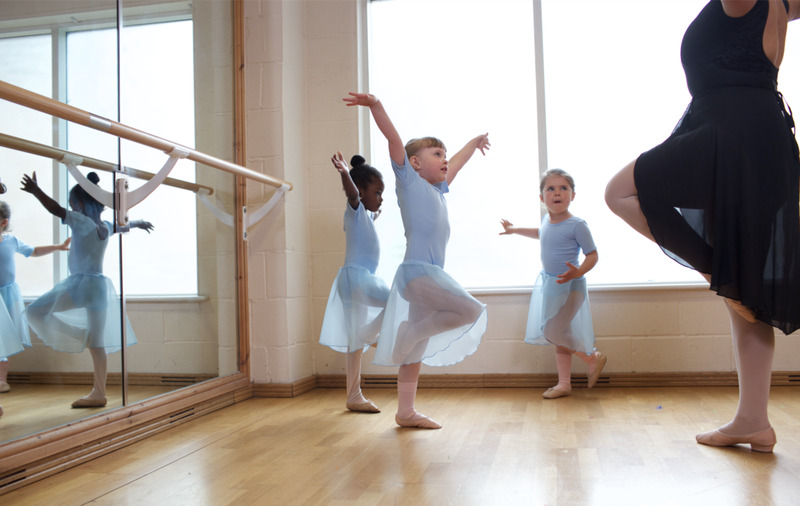 The classes focus on a different story each week and bring it to life using aspects of ballet to help the children progress. A lot of what we do in "Tiny Ballet" is perfect for aiding coordination, balancing (one leg or two), practicing sitting and standing with no hands, walking along a 'tightrope' or 'rainbow' to aid placing and many other great skills. This then prepares them to join the Pre-Primary class (usually) a year later. Registering your child for a Tiny Ballet class guarantees their spot in our Royal Academy of Dance ballet school as they progress through the Grades and Vocational Syllabus.